Some Mac users have discovered the sidebar to be missing in the Open and Save dialog windows that appear throughout Mac OS X. 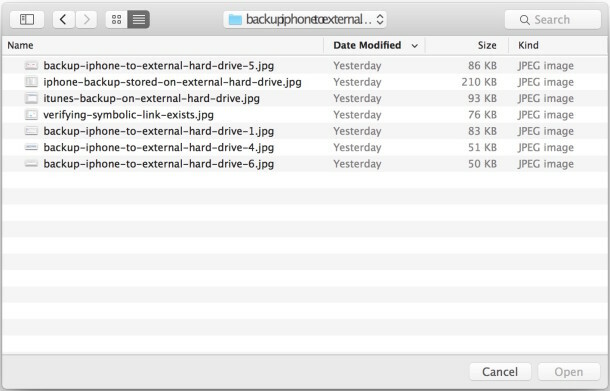 Since the sidebar contains quick access links to various points in the file system, including user directory pictures, documents, the desktop, Macintosh HD, and tags, this can be frustrating and lead to a more difficult file opening and saving process. Fortunately the missing sidebar in dialog windows is easy to fix, so follow along and you’ll have it back in no time at all. Do note this is separate from the Mac Finder window sidebar, which is visible and toggled through the View menu option, as that setting has no impact on the sidebar in open and save windows. Clicking that button shows the sidebar immediately in any open dialog or save window. If that button is not available, or if the sidebar is still missing, or if select items within the sidebar are missing, you’ll need to go a step further. This causes the com.apple.finder.plist preference file to regenerate, and will restore the default sidebar settings including it’s location references (Pictures, Documents, Macintosh HD, Applications, Desktop, Downloads, Tags, etc), this also makes the sidebar visible again if it was mysteriously hidden. Great suggestion on how to fix the convenient list of files in the Open and Save finder windows. This has been bugging me for several months. Thanks! I would like to know the setting in finder.plist to permamently hide side bar and toolbar as I NEVER use them and every time I create a new folder, my first effort is cmd-opt-T to have a simple folder view that I prefer to use. I never use the side bar as I use keyboard shortcuts so I wish I could permanently remove it. Just to say this worked like a dream. Good clear instructions and I’m delighted as it’s been annoying me for a week or more. Interestingly after the re boot I can now put the icons on my desktop wherever I want them whereas before they were in strict rows and all moved up one if I deleted something. Bonus! I’d been meaning to get round to finding out how to do this for a while but strange non the less? I’ve noticed that nearly every suggestion for dealing with missing items in the sidebar (both in the Finder windows and in Open/Save dialogs), involves restarting the Mac or logging out of the affected user account, and then logging back in. For most people, it’s this restart or logging out/in that’s fixing the problem, not trashing preferences files, etc., but for both approaches, the problem very often returns. This is a bug in OS X, and while it’s particularly bad under El Capitan, many people have been seeing it with some immediately previous versions of OS X.
I completely agree. I don’t have to trash the file to “fix” the problem, I just have to reboot and it gets returned back to normal … for a while and then it craps out again. This isn’t a fix, it’s not even a workaround, it’s just a bug. What triggers it, I don’t know. 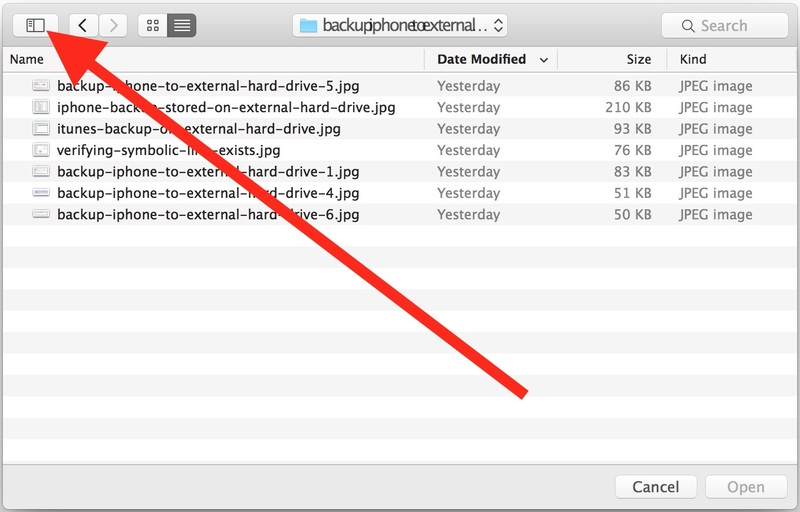 Apple needs to fix it because it reduces the usability of file access for most applications. 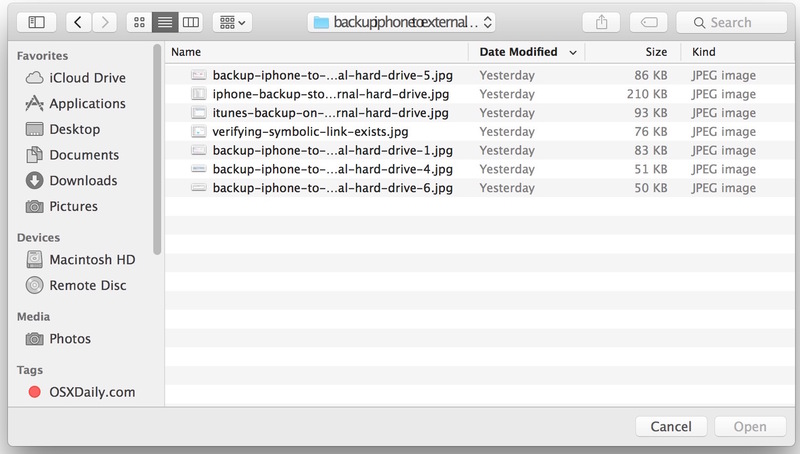 +1 Trashing the finder.plist worked, but not restarting. Thanks! Thank you, thank you, thank you. I woke up to find all the files in my sidebar missing! Your article made restoring it a snap! I am so grateful! p.s. I tired rebooting my MacBook before going in search of a solution and that didn’t help. Resolved it with your tip, though. :-) It’s the little things. 2	Right click on Finder icon while you’re pressing the Alt key (⌥) and you’ll see the Relaunch option there. 3	Open Word and your folders should be there. This is not a solution. I deleted the finder.plist and rebooted, and less than an hour later the Favorites were gone again. I don’t call that “fixed”. Am I supposed to reboot my computer every 45 minutes to keep this from happening? right-click on the Finder Icon while holding the alt key, and click on relaunch. Worked for me! Thanks, this was really bugging me! I did actually try this trick when my finder sidebar was empty from my favorites / shortcuts. I threw away the com.apple.finder.plist from the preferences. After that it worked fine for a while. Today, all of a sudden the same problem came up. Now I can’t find my com.apple.finder.plist. I actually though it would be regenerated some how. So now I can’t throw away what is not there to fix the problem. No what…?? Thanks so much! Finder sidebar quickly restored. Always very helpful advice from this website.